Koyo is the JTEKT Corporation brand for bearings. JTEKT engineering and manufacturing capabilities range from super large bearings with outer diameters of seven meters to miniature bearings with inner diameters as small as one millimeter. Utilizing new materials and the latest in manufacturing technology, JTEKT stands at the forefront, as a technological leader in the world bearing industry. Through PARTcommunity, JTEKT offers free 2D and 3D CAD downloads for various bearings. Access our Knowledge of Bearings reference guide to solidify your knowledge of bearing types and behaviors. 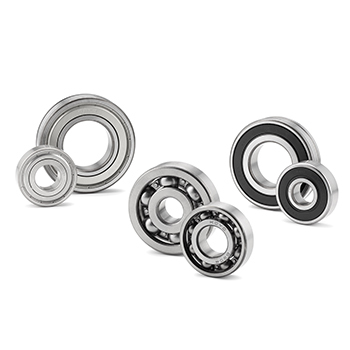 Learn about the dangers of fake bearings, and read about JTEKT's efforts to combat them.